Indian movie makers usually go for a grand effect and shoot movies at many locations all over the world and not just limit to artificially made movie sets. Song sequences especially, feature never before seen exotic locations. Let us take a look at 8 beautiful places from around the world made famous by Indian movies. Switzerland has been a favourite destination for Indian filmmakers since the 1960’s but the country was forever immortalized in people’s minds only after Yash Chopra’s super hit movie Dilwale Dulhania Le Jayenge. Remember all that cute romance between Rahul and Simran in the song “Zara sa jhoom loon main”? That was shot in the charming swiss countryside of Zweisimmen and Gstaad. The filmmaker Yash Chopra shot so many of his movies in Switzerland that the swiss government honoured him by erecting a statue of his in the town of Interlaken! Most of you might remember the iconic scene from Dil Chahta Hai, where Aamir Khan, Saif Ali Khan, and Akshay Khanna are chilling on top of a fort in Goa. This is the Chapora fort which saw a saw a tremendous increase in tourists after the release of the movie. This fort is now known as the Dil Chahta Hai fort among locals since the tourists who come searching for it refer to it by the movies name. In many ways Dil Chahta Hai set the tone for the youth to head for Goa to party, chill and have a fun time. Zindagi Na Milegi Dobara brought Spain to life like no other Indian movie before. The fun filled road trip of Hrithik Roshan, Farhan Akhtar and Abhay Deol made us all wish for going on a road trip with our own friends. The song “Señorita” was filmed at Alájar town in spain where the locals enthusiastically participated in the song sequence as extras. The La Tomatina festival in valencia was celebrated a second time that year by flying in 16 tons of tomatoes from Portugal just for the movie! There are many tour operators now giving Zindagi Na Milegi Dobara customised tours to Spain, to recreate the magic of the movie in your travels too! Pangong Tso, Tibetan for “High grassland lake” is the latest entrant to the list of exotic locations made famous by bollywood movies. It first featured in the song “Satrangi Re” from the movie “Dil Se” starring Shah Rukh Khan and Manisha Koirala. In 2010, Pangong Tso became a hugely popular destination after the release of “3 Idiots” where the climax scene for the movie was shot. The light blue, crystal clear waters of the lake together with the remote and serene landscape put you at ease and transport you to a blissful state. The tulip fields of Netherlands is a riot of colours that feels like how a garden in heaven should be like. Many filmmakers have used this location for shooting their songs. This place has been shown in all its glory in the Tamil movie Anniyan (Aparichit) and soon after became a favourite stopover for newly married couples from India going on their trip to Europe. Kaho Na Pyar Hai, a movie which inspired a generation of young people to secretly dream of being stuck on a lonely Island with just their crush. The iconic scene where Hrithik Roshan and Amisha patel are stuck together without any means of escape was shot in Krabi Island, Thailand. The Island is very famous internationally for its pristine beaches and light blue waters surrounding it. Director Shankar’s movies all have an element of dramatic visuals and exotic locations from around the World. In the movie “I” as an industry first, many of the scenes were exclusively shot in China and made Indians realize that there is more to China than just Beijing and the Great Wall. The song “Pookakalae Sattru Oyivedungal” was filmed in Red Seabeach, Panjin and on the winding river of Li in Guilin. For Indian movie makers, Malaysia is a favourite place to shoot gangster movies. 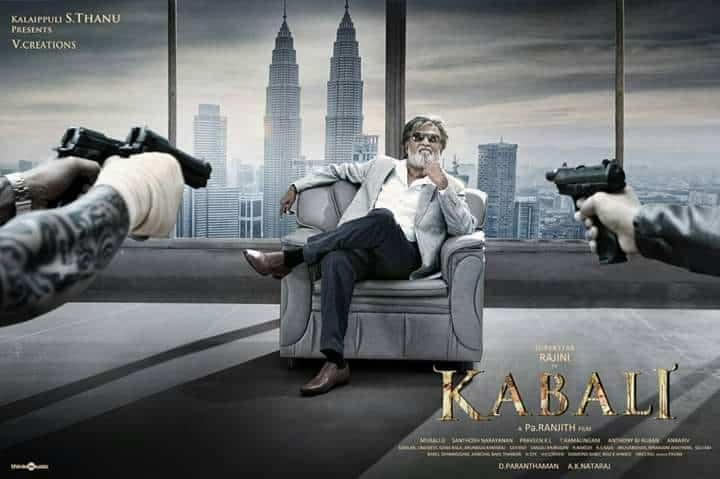 Kabali, Don (2006) & Billa (2007) were all gangster movies which were filmed in Malaysia. In Kabali, the scene where Superstar Rajinikanth is lounging on chair has the famous Petronas twin towers in the background. 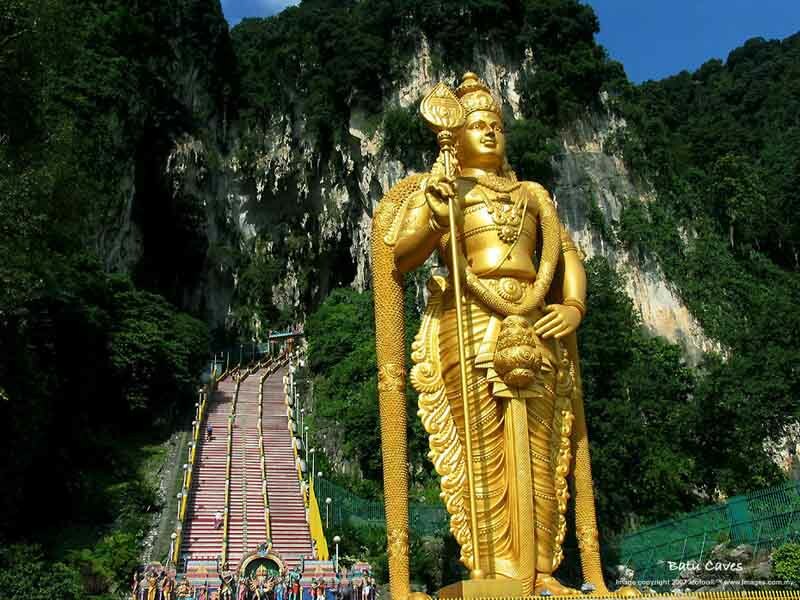 Batu Caves are another favourite location in Malaysia, home to the tallest statue in the world of the Hindu god Murugan(Karthikeya). Also Read: 10 Foreign Countries Cheaper Than Travelling Within India!